Tourists take in the view from the Champlain Lookout at Gatineau Park in Chelsea, Québec, Canada. 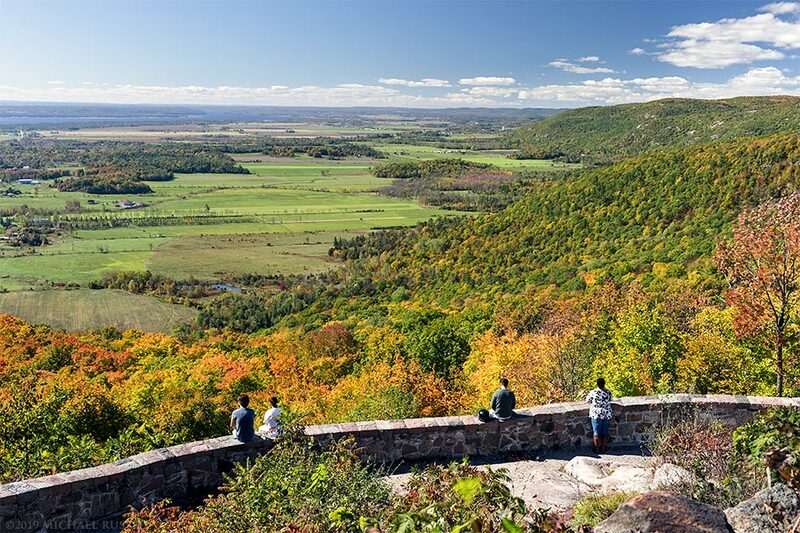 The Champlain Lookout is probably one of the most well known and popular views in Québec’s Gatineau Park. 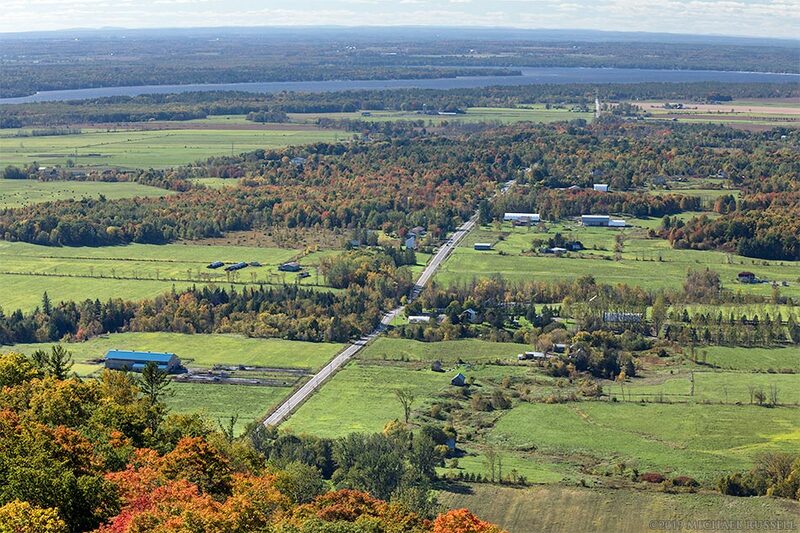 The lookout is at the end of the Champlain Parkway and offers views of Québec farmland, the Ottawa River, and is a great place to take in the fall foliage displays. The lookout sits on the edge of the Eardley Escarpment which is the dividing line between the Canadian Shield and the St. Lawrence Lowlands. This was my first day in Gatineau Park, and the drive to this spot showed the potential for photography there, even if the fall foliage wasn’t quite at its peak yet. The second photograph below shows the view of Chemin de la Montagne heading west toward Heyworth, Québec and the Ottawa River. Just before you get to the Champlain Lookout you’ll see the Huron Lookout. Huron gives a view looking to the south where the Champlain looks more to the southwest. After visiting these lookouts I photographed Dunlop Falls which is another popular and easy to reach area of Gatineau Park. For more photographs of this area visit my Gatineau Park Gallery. Tank you for sending me your pictures. I intend to write about some of them.